Both Firefox and Chrome have release updates this week. Firefox has released 10.2 and Chrome is up to 17.0.963.56. Firefox has released a couple of updates in quick succession with an impressive list of bugs being fixed. Check out this list : http://www.mozilla.org/en-US/firefox/10.0/releasenotes/buglist.html Consider doing an update soon. Facebook is kind of training its user base that it is OK to click on links in emails, as long as they look like pretty buttons. When there is a friend request, or a comment has been added, in the interest of making sure that you get the message it is emailed. 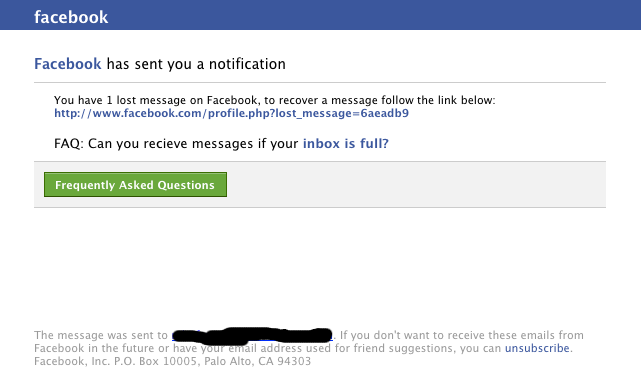 It was probably only a matter of time before Facebook like SPAM/PHISH email started arriving. When I received the following, I must confess I nearly clicked it automatically, before I noticed the actual link. Not terribly exciting I agree. What caught my eye however was that the SPAM email looked darn close to the real thing, the emails Facebook users get every day. If you have a user base that uses Facebook, you may wish to bring this to their attention. At the moment it is only SPAM, but it doesn't have to be. 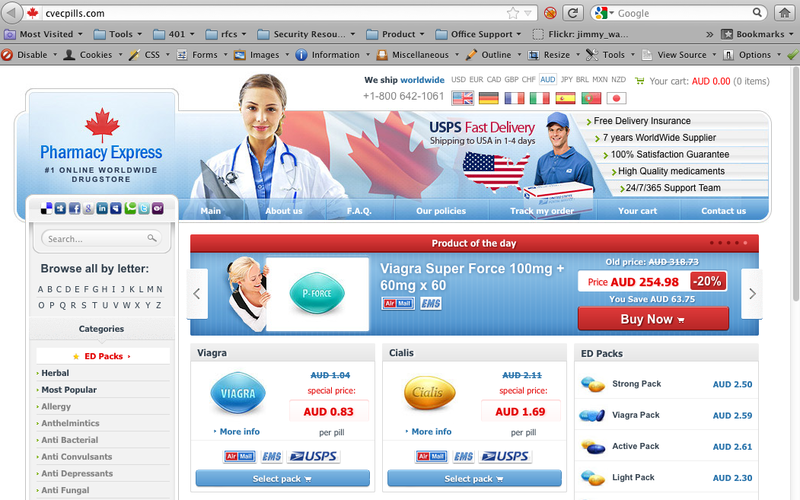 If you are into blocking, this particular SPAM run ends up on 115.145.129.35 (South Korea), loads medicalaf.ru (In China) which redirects to cvecpills.com (In Romania). Not a bad method to get some distance between the emil and the eventual landing page. Allows them to switch targets easily.